Spoontiques 13149 - Stepping Stone/Wall Plaque. High quality indoor or outdoor hand sculpted and hand painted decorative resin Wall Plaque or Stepping Stones can be hung on your wall or simply add a welcoming touch to your home, yard or office. Resin & Calcium Carbonate. Indoor/Outdoor. Spoontiques 13302 - Resin & Calcium Carbonate. Indoor/Outdoor. High quality indoor or outdoor hand sculpted and hand painted decorative resin Wall Plaque or Stepping Stones can be hung on your wall or simply add a welcoming touch to your home, yard or office. Stepping Stone/Wall Plaque. Spoontiques 13390 - Indoor/Outdoor. Stepping stone/wall plaque. Stepping Stone/Wall Plaque. Indoor/outdoor. High quality indoor or outdoor hand sculpted & hand painted decorative resin wall plaque or stepping stones can be hung on your wall or simply add a welcoming touch to your home, yd or office. Resin & Calcium Carbonate. Resin & calcium carbonate. Spoontiques 13057 - Resin & Calcium Carbonate. Stepping stone/wall plaque. Indoor/Outdoor. Resin & Calcium Carbonate. Stepping Stone/Wall Plaque. Resin & calcium carbonate. Stepping Stone/Wall Plaque. Indoor/outdoor. 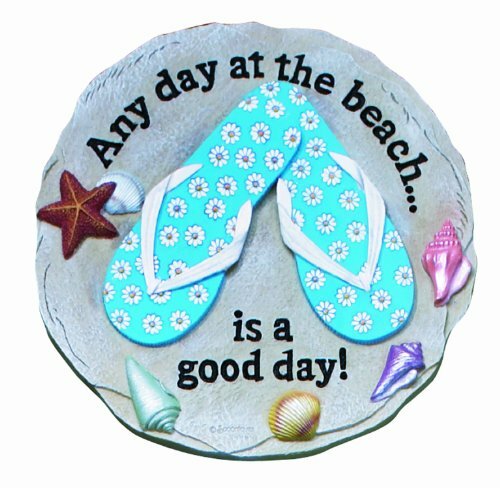 High quality indoor or outdoor hand sculpted and hand painted decorative resin Wall Plaque or Stepping Stones can be hung on your wall or simply add a welcoming touch to your home, yard or office. Spoontiques 05047 - Stepping Stone/Wall Plaque. Resin & calcium carbonate. Resin & Calcium Carbonate. Stepping Stone/Wall Plaque. Indoor/Outdoor. Stepping stone/wall plaque. Indoor/Outdoor. Indoor/outdoor. Resin & Calcium Carbonate. Indoor/Outdoor. Stepping Stone/Wall Plaque. High quality indoor or outdoor hand sculpted and hand painted decorative resin Wall Plaque or Stepping Stones can be hung on your wall or simply add a welcoming touch to your home, yard or office. Spoontiques 13325 - Resin & Calcium Carbonate. Indoor/outdoor. Indoor/Outdoor. Stepping Stone/Wall Plaque. Stepping Stone/Wall Plaque. Stepping Stone/Wall Plaque. Stepping Stone/Wall Plaque. Resin & Calcium Carbonate. Stepping stone/wall plaque. High quality indoor or outdoor hand sculpted and hand painted decorative resin Wall Plaque or Stepping Stones can be hung on your wall or simply add a welcoming touch to your home, yard or office. Resin & calcium carbonate. Indoor/Outdoor. Indoor/Outdoor. Resin & Calcium Carbonate. Resin & Calcium Carbonate. Indoor/Outdoor. GetSet2Save - 4-7/8"w x 9-1/2"L. Stepping Stone/Wall Plaque. Stepping Stone/Wall Plaque. Resin & Calcium Carbonate. Create a path through the garden and have a beautiful design that looks great year 'round. Indoor/outdoor. Cement. Indoor/Outdoor. 4-7/8"w x 9-1/2"l, each. You get 2 easily create a path Stepping Stone/Wall Plaque. Indoor/Outdoor. Indoor/Outdoor. Resin & Calcium Carbonate. Resin & Calcium Carbonate. Resin & calcium carbonate. Cement. Stepping Stone/Wall Plaque. Indoor/Outdoor. Resin & Calcium Carbonate. Add a tropical touch to your yard with the Set of 2 Flip-Flop Steppingstones. Stepping stone/wall plaque. Spoontiques 13032 - Resin & Calcium Carbonate. Stepping Stone/Wall Plaque. Stepping Stone/Wall Plaque. High quality indoor or outdoor hand sculpted and hand painted decorative resin Wall Plaque or Stepping Stones can be hung on your wall or simply add a welcoming touch to your home, yard or office. Indoor/Outdoor. Stepping Stone/Wall Plaque. Indoor/Outdoor. Cement. Stepping stone/wall plaque. Indoor/Outdoor. Stepping Stone/Wall Plaque. Resin & Calcium Carbonate. Indoor/outdoor. Resin & Calcium Carbonate. Indoor/Outdoor. Resin & Calcium Carbonate. Indoor/Outdoor. Resin & calcium carbonate. Resin & Calcium Carbonate. Stepping Stone/Wall Plaque. 4-7/8"w x 9-1/2"L.
Carson Home Accents Carson Home Accents - Stepping Stone/Wall Plaque. Resin & Calcium Carbonate. Resin & Calcium Carbonate. Indoor/Outdoor. Stepping stone/wall plaque. Decor stepping stone Faith Set of 1 Stepping Stone/Wall Plaque. Stepping Stone/Wall Plaque. Resin & Calcium Carbonate. Indoor/outdoor. Resin & Calcium Carbonate. Indoor/Outdoor. Indoor/Outdoor. Stepping Stone/Wall Plaque. Indoor/Outdoor. Cement. 4-7/8"w x 9-1/2"L. Resin & calcium carbonate. Indoor/Outdoor. Resin & Calcium Carbonate. Stepping Stone/Wall Plaque. Spoontiques 13321 - Resin & calcium carbonate. Stepping Stone/Wall Plaque. Resin & Calcium Carbonate. Indoor/Outdoor. Indoor/Outdoor. Cement. Resin & Calcium Carbonate. Indoor/Outdoor. Stepping Stone/Wall Plaque. Resin & Calcium Carbonate. Resin & Calcium Carbonate. Indoor/Outdoor. Indoor/outdoor. Stepping Stone/Wall Plaque. Stepping stone/wall plaque. High quality indoor or outdoor hand sculpted and hand painted decorative resin Wall Plaque or Stepping Stones can be hung on your wall or simply add a welcoming touch to your home, yard or office. Stepping Stone/Wall Plaque. Indoor/Outdoor. Resin & Calcium Carbonate. Indoor/Outdoor. Stepping Stone/Wall Plaque. Stepping Stone/Wall Plaque. Spoontiques Hummingbird Stepping Stone - Resin & Calcium Carbonate. 4-7/8"w x 9-1/2"L.